Driving a new route into National Canaveral Seashore park, I was reminded of the expansive acreage encompassing the area. On the left, I had viewed many charred trunks of palms from controlled burns. On the right shoulder, I had seen the most butterflies since being in elementary school. Before my final turn into the park gate, a solitary turtle had struggled to cross the center of the road. Fortunately, the lack of traffic had allowed me to swerve slightly into the median avoiding a possible road kill, buzz-kill moment. Arriving at the gate, I had thought out loud,”How many times have I been here over the past year? Maybe I should just get a pass?” At that moment, the ranger had waved us past the guard house. The reason was National Public Lands Day, meaning free admission to any national park. I was ecstatic at the surprise of saving $5. Perhaps, it was good karma for showing mercy upon the tiny turtle earlier on? Eventually parking at Lot 1, a few ladies were headed to their vehicle. They had commented out-loud on the rough surf. With that thought in mind, I had carefully waded into the seas wondering,”How rough?” After few moments of swimming and trending water, the undertow seductively had pulled me out beyond my comfort level. After this realization, I had swam back to shallows enjoying the forceful nature of the waves while swimming in place. It had served as an extra round of exercise over the heated gym pool earlier in the morning. After wrapping up for the afternoon, I had headed toward the boardwalk. Right next to the wooden steps, a fish head had captured my attention. Not too far away was a small cluster of pink flowers blooming. 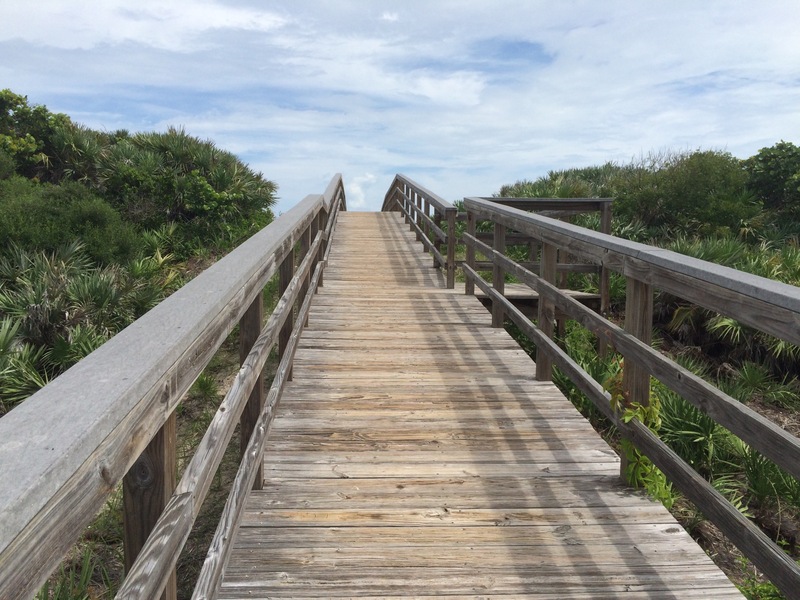 The Canaveral National Seashore had always served as reminder of the duality of nature. Sometimes showcasing life, other moments, it had offered testament to death with an empty shells or carcasses. The reason for my affinity for the park was this dichotomy. 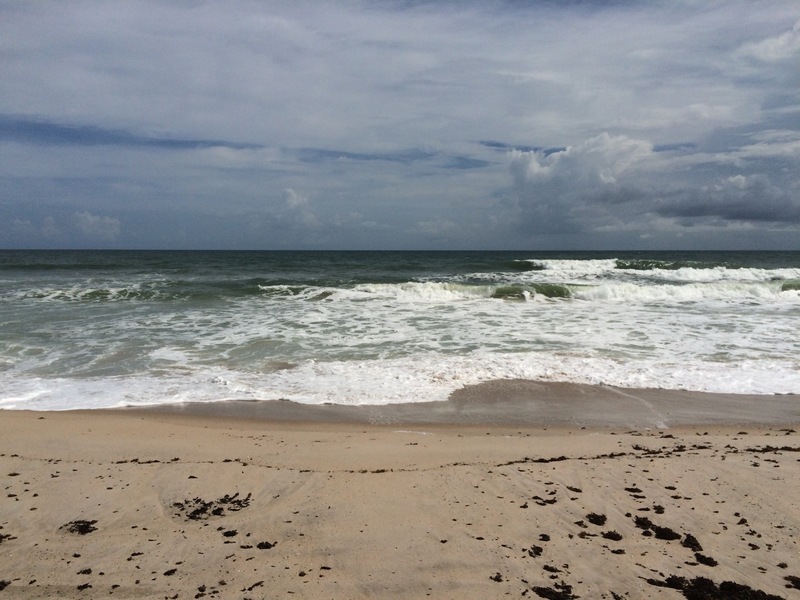 This entry was posted in Central Florida and tagged Beach, Canaveral National Seashore, Florida, Free Entrance Days in the National Parks, Lot 1, National Canaveral Seashore park, National Public Lands Day, Swimming, Titusville. Bookmark the permalink.